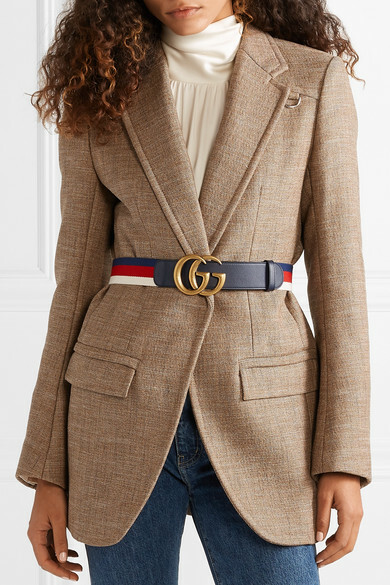 Gucci's coveted belts work with everything from jeans to tailoring - just look to Alexa Chung, Rosie Huntington-Whiteley and Lou Doillon for style inspiration. 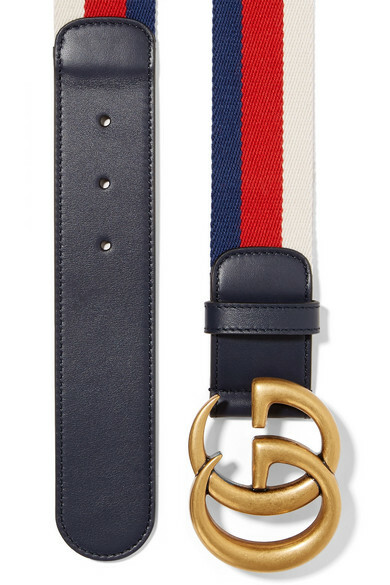 This leather and canvas design is striped to resemble the house's iconic webbing and fastens with a burnished 'GG' buckle. Shown here with: The Row Blouse, Current/Elliott Jeans, Chloé Blazer.